The company bills this as a “complete calibration system,” able to calibrate between 75 and 1,500 ft/lbs. The system includes a static transducer, calibration stand, and a Surface tablet complete with RAD’s calibration software. 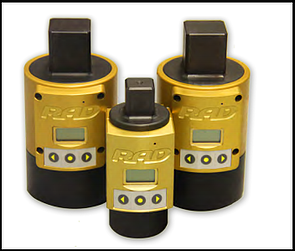 RAD’s Smart Transducers are classified to BS 7882:2008 as class 1 or better for the primary range (+/- 0.5 percent of reading from 20 to 100 percent of the full scale). Every transducer is fully calibrated and is traceable to ISO 17025, which ensures the highest measurement of quality. RAD says this pneumatic torque wrench features the highest power-to-weight ratio of any power tool on the market today, allowing users to save time and money in production or maintenance costs. It features an accuracy of +/- 4 percent, and a repeatability of 2 percent with the correct air supply. And this product, like all RAD torque wrenches, is individually calibrated and traceable to NIST s tandards to ensure joint integrity. You’ll get much more accuracy than you would with an impact wrench. The RAD 30DX-2 also features 88 times less vibration than an impact wrench, operating at just 80 dB. 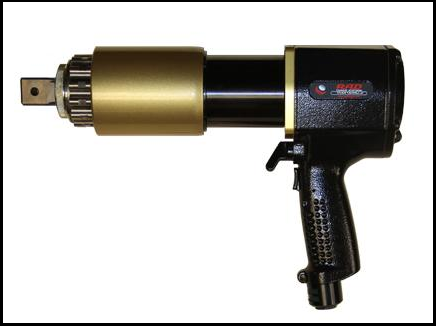 These are some of the safest power air tools on the market, with an exclusive low profile reaction arm that takes nearly all of the operating load from the user. This reduces the risk of injuries while shrinking operating costs. Each RAD pneumatic tool comes with a standard reaction arm, a 12-foot hose and fittings, and a regulator and tool holder. Like the name implies, this tool features a torque display and buttons that let you easily select your target torque. The B-RAD select series is more compact, stronger and faster than any other battery tool on the market. The B-RAD line is ideal for applications where compressed air and electricity aren’t available. They feature unmatched power, versatility, and reliability in a portable, lightweight tool. If you’d like to know more about RAD torque tools or any of the other products we carry, please contact Maxpro. We’d be happy to help you find the right tool for your next job.